Author, editor and writing teacher Suzanne McConnell was a student of Kurt Vonnegut's at the Iowa Writer's Workshop during its heyday, the period from 1965-67, when Vonnegut, along with Nelson Algren and other notable authors were in residence. This was also the period when Vonnegut was writing his masterpiece, Slaughterhouse Five, and had a lot to say about the writing process. 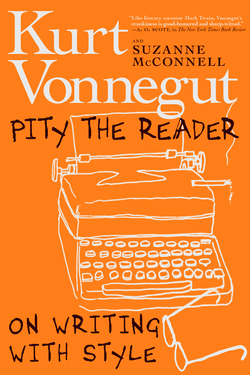 Vonnegut and McConnell became friends, and stayed in touch over the years. She has published short memoirs of him in The Brooklyn Rail and The Writer's Digest, and led a panel at the 2014 AWP conference on Vonnegut's legacy, titled "Vonnegut's Legacy: Writing about War and Other Debacles of the Human Condition." McConnell has taught writing at Hunter College for thirty years and, outside of the university setting, to pretty much all ages in a wide range of settings. She is Fiction Editor for the Bellevue Literary Review. Her own fiction won First Prize in the 2015 New Ohio Review's Fiction Contest, First Prize in the 2014 Prime Number Magazine Awards for Flash Fiction, and has been nominated twice for the Pushcart Prize. An excerpt from her novel, [add title here], won Second Prize in the 2008 So to Speak's Fiction Contest. She lives in New York City and Wellfleet, MA, with her husband, the artist Gary Kuehn.